Snow removal, home repair, excavation, carpentry and a whole lot more in Portsmouth NH. Excavation jobs need an experience staff to be successful. And that is why your next project will be handled by us! We are an effective solution for your project (and your wallet). Our decades of construction involvement and background has allowed us to service our client’s homes and businesses with beyond satisfactory results. Those who own homes are often in need of assistance when it comes to the larger projects that require a great deal of leveling. A lot of these projects are sure to increase the value of your home, but some just don’t know where to begin. We are your reliable team ready to handle your project, and we will do it right the first time! It takes a lot of skill and experience to complete a large excavation project well. You’ll want the team that knows exactly what goes into a big job, from the beginning to the end, and every step in between. That’s why our clients love us. We aid in outlining projects, performing the service, delivering equipment, and handling the operation right through clean-up. Licensed, insured and experienced to deliver superior quality work from single houses to more complex business ventures. Laffey Construction has been the reliable excavation team in the Seacoast area for fifteen plus years! Every once in a while, stuff breaks; we are here to fix it. Outside the home and inside, one end to the other, our reliable home improvement team is here to get your stuff fixed. We repair plumbing problems and electrical issues, ceiling fans, doors, and railings, and a much more. Our clients continue to call us because it’s a time and money saver. Give us a call ASAP and let us know what we can repair for you. Your next project should be one that will benefit you for years to come. Which is why you will want Laffey Construction’s carpentry specialists on the job. We handle remodels and repairs for your house. From storm damage all the way to making your home improvement dreams come true, there is no job we can’t handle. Stairs, doors, window frames, and a lot more. Give us a call for your estimate today. NE winter weather can be cold and bitter. The last thing you want to be doing is handling a shovel full of heavy snow with gloves that are soaked through. Give us a call and we will tackle all of your snow removal. We are your best option when it comes waking up early the following morning to clean out your driveway. Let us do it for you! Stay inside, stay warm, and stay dry! What sets us a part is our dedication to our clients. We have been doing this for years and understand what it takes to get your complex or business safe during winter storms. 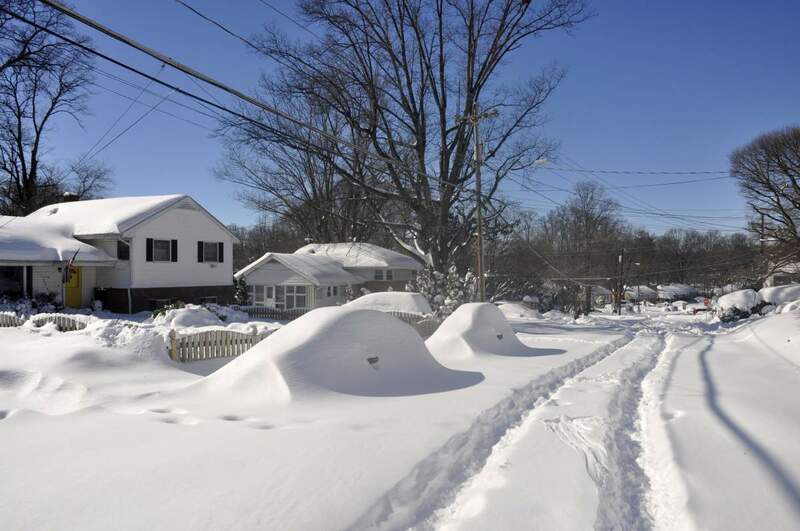 Our reliable team of snow plow contractors in the seacoast area are here to sand and remove the mess that piles up. It’s important that your operation is running as smoothly as it can. Give us a call today for your estimate.